The Annual General Meeting of Clann Mhuire CLG will take place on Monday 26th of November 2018 at 8pm in Clubhouse. Members over the age of 18 are entitled to vote and are permitted to nominate a member for election to the Executive Committee. 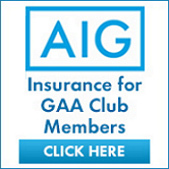 Nominations and Motions must be submitted by email to secretary.clannmhuire.dublin@gaa.ie by the 16th of November 2018.